Organizations or educational providers who are interested in requesting pre-approval of their educational events should complete the Uniform Provider/Sponsor Continuing Education Request Approval Form. There is an annual fee of $300 charged to the provider to evaluate CEU programs which is renewed on September 1 of each year. 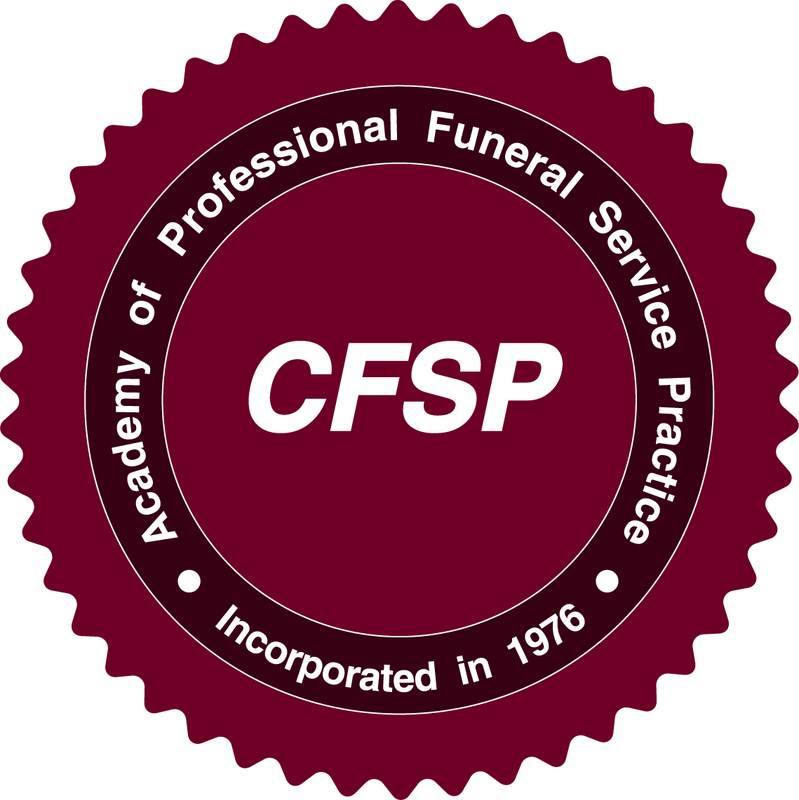 We encourage you to use the CFSP logo on your certificates or in your presentation as an indication that your program has been approved by the Academy. Please mail the completed form to the Academy or fax it to (770) 646-9490. Each CEU Request must include a speaker bio, meeting/seminar agenda, and curriculum summary. Requests for approval of home study programs must be accompanied by two copies of the actual curriculum content, including an estimate of time required for completion, as well as evaluation procedures designed to ensure student comprehension of the program along with the Provider/Sponsor Continuing Education Request Approval Form for review by our Subject Matter Experts. There is an additional one-time charge of $50 per home study program evaluated. Home study programs may be recertified each year when submitted along with the education provider renewal. NOTE: This form is accepted by the Academy and by many state licensing boards that require continuing education for funeral service professionals. CEU requests approved by the Academy are intended as approval for Academy members. Please contact the appropriate state licensing board for additional information regarding their continuing education criteria. Each CEU is equal to 10 hours of accreditable activity, as such, 1.0 CEU equals 10 hours. Each hour is evaluated as 50 minutes of activity plus a 10 minute break; i.e., 9:00 A.M. - 12:00 Noon program will receive .3 CEU's with up to 30 minutes allowed for breaks. Public Health and Technical Sciences including embalming, restorative art, etc. Business Management including computer applications, marketing, personnel management, accounting, etc. Social Science including communication skills, both written and oral, sociological factors, counseling, grief psychology, etc. Legal, Ethical, Regulatory including OSHA, FTC, ethical issues, legal interpretations, etc. The program must be sponsored by a provider for which continuing education programming is part of the overall provider mission. Program speakers must possess professional credentials appropriate to the subjects covered in the program. The program must contain demonstrable educational content, as evaluated by the Academy of Professional Funeral Service Practice. Credits are not allowed for such activities as social occasions, meals, receptions, sporting tournaments, etc. If a portion of this type event contains educational content, that portion only will receive CEU credit. (i.e., banquet with an educational speaker would provide credit for the time of the speech only). It is the responsibility of the program provider to alert the Academy office to the length of the educational content for which credit is sought. Credits for home study programs approved by the Academy are posted in Category A on the Uncertified Transcript. Such programs including books, audio, or video materials or teleconference, web-based or on-line learning which have received prior approval from the Academy. Home study programs must include an approved post-program evaluation, generally in the form of written answers to essay questions, which participants submit to the educational provider after completion of each approved home study program. Approved educational providers are required to notify the Academy of successful completion by individuals after post-program evaluations are reviewed and approved. Credit for home study courses generally is between .2 CEU (2 hours) for up to 1.0 CEU (10 hours), depending on the content of the course.